In an upcoming podcast, my guest and I will casually mention ‘The Curmudgeon Effect’, so I thought it would be a good idea to explain it ahead of time. 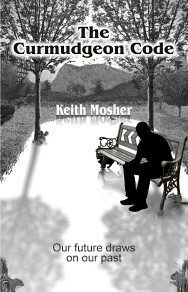 I am writing a short story titled, The Curmudgeon Effect. 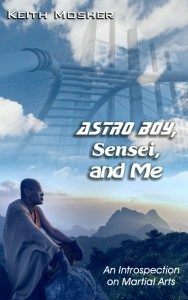 It is set in the future with a flashback explaining the intervening years between now and that future time, detailing the rise of Artificial Intelligence and how humans and the superior machine minds come to have peaceful coexistence. 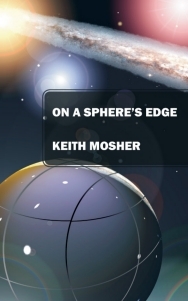 My podcast guest is familiar with my writing, so we discuss it as a matter of fact, though the listener will not have that frame of reference. So I will paraphrase part of the story and explain the concept. The human mind is a fascinating thing. In addition to running routine maintenance, such as respiration, heart rates and the like, it also manages our senses; sight, smell, balance, spacial perception, and so on. Beyond all this, it houses the largest part of our consciousness. This particular aspect is one of the most complicated parts of the human brain. 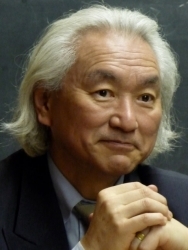 Professor Michio Kaku, in his book, The Future of the Mind: The Scientific Quest to Understand, Enhance, and Empower the Mind, speculates that the unique quality of human consciousness is our ability to understand time and to run simulations into the future placing ourselves in those simulations. The importance of this will become apparent. One of the evolutionary goals of the brain is to find tactics that work toward survival, for the being to learn how to recognize a threat and how to respond to that threat, like how to maintain balance as you run through a mountain trail to avoid a bobcat. Part of the natural structure of the brain is to build neural patterns of working strategies. The brain wants to do more than test and experiment, seeking a working strategy. You do not have time to think and ponder when the bobcat is coming for you. As the brain finds effective strategies, it wants to memorize them. You see a ball flying through the air. Research shows that you maneuver yourself so that the ball remains at a fixed position in your sight, allowing you to calculate where it will descend and how to get in position to catch it. This goes directly to Dr. Kaku’s idea of running future simulations and placing ourselves in those calculations. It is one thing for you or me to see the ball and try to catch it. The person with a desire to become a professional ball player wants to almost hard wire those simulations and calculations. They want those neural patterns to become well oiled, smooth and fast whenever they need them. It might be incorrect to say they memorize the strategies. Memorization is a top level function, like memorizing a song. The ball player is using middle and lower level functions, many of which the individual is not even aware of. The neural patterns of these strategies are retained, becoming almost fixed. Young brains are forming the neural patterns that help them to survive. They rely on the plasticity of the human brain, running various simulations and calculations to find those that work for them. It is important to note, young minds “find” strategies. They do not know them. They are looking for them. Older brains rely on the neural patterns that were formed in youth. Here it is important to note that the older brain is not looking for strategies. Instead, they use old, pre-existing strategy patterns. Those patterns worked and allowed survival, so the older mind keeps those patterns in use and well lubricated. In the story that I am writing, the AI’s uncover a condition labeled P.A.R.D., Pattern Alteration Resistance Disorder. Disorders are behaviors that at their outset are beneficial but over time they become detrimental. Social Anxiety Disorder is one that I have personal experience with. Shyness was beneficial in my youth. It reduced ridicule and feelings of being singled out. As an adult, this learned behavior makes it difficult to make friends or to interact in the work place. What was once helpful becomes harmful. As I think about this, I often see Dana Carvey and his grumpy old man character. “In my day, we had only one flavor of ice cream, and we liked it! In my day, we walked to school, uphill both ways, and we liked it!” An interesting side note, it is possible to walk uphill both ways, and for it to be remembered that way. If there is a hill between home and school, one must walk uphill to and from school, however the last half of each journey would be downhill, so the uphill portion is not likely to be remembered. However, if there were a valley between home and school, the last half of each journey would be uphill and undoubtedly remembered that way. The elderly have always felt that the young were set upon uncertain paths. They lament the freedoms expressed by the young, their new fangled machines, their manner of dress, their changes in language. These complaints stretch back through time. Plato feared for the youth and their behavior that he considered disrespectful. It is because of the design of the brain that this distrust and lamentation arise. Change is constant, but over time our brains’ neural patterns become somewhat fixed. Fixed and change are diametrically opposed. 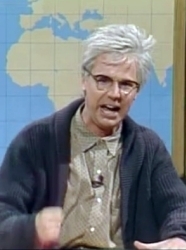 We are not destined to become curmudgeons, but due to the way the brain works we are likely to become contrary old folk, even Dana Carvey. The brain’s plasticity and its ability to learn new things remains throughout its lifetime. You can teach an old dog a new trick. However, it becomes increasingly more difficult, especially with complex issues such as social order. This effect is what make movement into the future uncertain and difficult. The middle aged and elderly, with more fixed neural patterns, generally control business and government. The young, testing and experimenting as they build neural patterns, seem inherently rebellious. They do not rebel for rebellion’s sake, they simply try things and stumble upon new approaches that the elderly will have difficulty accepting. Those suffering from The Curmudgeon Effect, generally holding power, resist those new approaches and put pressure on the young and on society to fight the new paradigms. 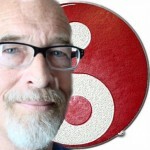 This entry was posted in Philosophic, Weird Science and tagged Podcast, Science. Bookmark the permalink.